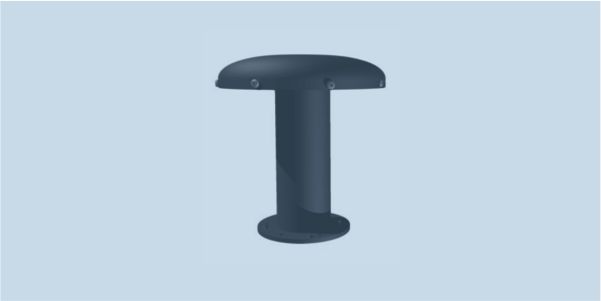 OMNI-A0268 is extremely robust, with printed circuit board radiating elements housed in a fiberglass radome fitted to an aluminum mounting tube, and is suitable for both mobile and fixed-site applications. The antenna RF output is provided through an N-type connector, exiting the antenna under the mounting flange for watertight and convenient vehicular installation. In active mode, the OMNI-A0268 is equipped with highly linear and low noise amplifier, providing excellent sensitivity and low interference. Use the MISC-A0022 to supply DC power to the antenna through the RF connector. When the antenna is used together with OMNI-A0098-01 or OMNI-A0190, both horizontally and vertically signals can be received.